Newsletter: I stay in touch with all of my clients with a monthly newsletter. My newsletter is filled with specific information customized to your home, including "how to" recommendations. Contact me when you are ready to move into your new home and I will add you to my list of happy homeowners. 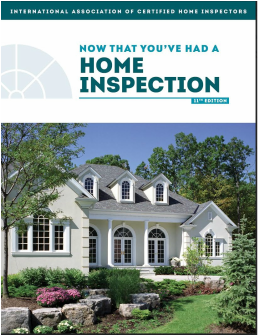 Book: I also give every client a home maintenance book with every home inspection. It's a full-color, 100-page printed book that I'll hand to you at your inspection. Call me now to schedule your inspection.